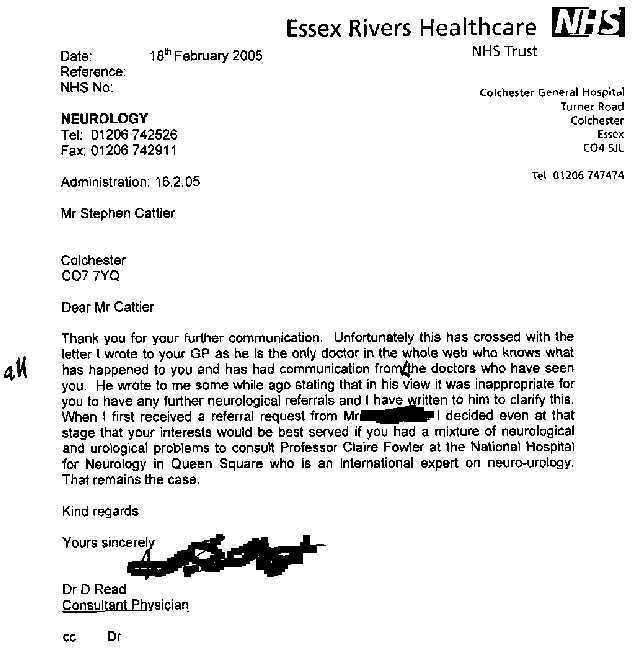 Dr. D. Read, consultant physician/neurologist, Colchester, private 1989. Classic car i.e. 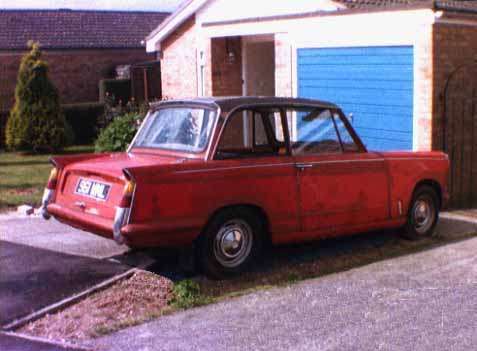 Triumph Herald. I sold it in about 1991 to purchase a model aircraft engine and not for the NMR scan I had in 1989. I have forgotten I was mostly uncooperative owing to my sensitivities from the neurological injury. I showed him Harry Lorayne's memory feat that I could do from his book where I had memorised 100 four digit numbers in a grid pattern by his code. I clamed I had a severe memory problem but I would have thought performing the amazing feat must have put him off. Such mnemonics helps brain injured victims memorise - I saw it on TV with Dominic O'Brian world memory champion. I am unsure what he means, "This remains the case." 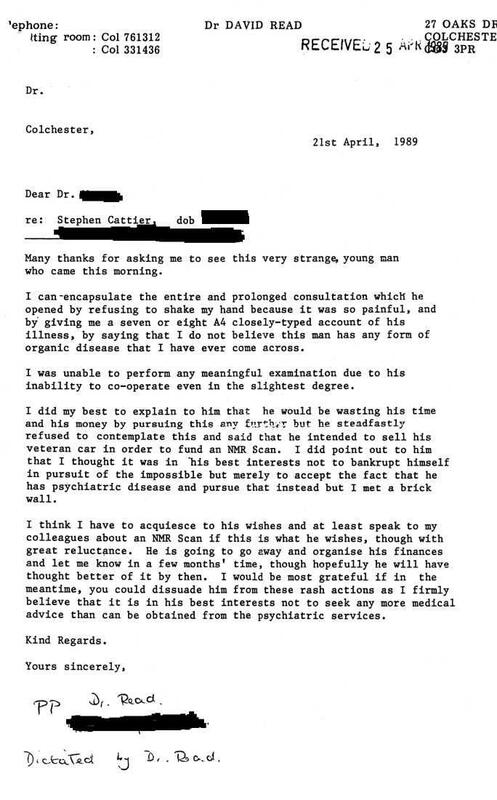 He wrote to my GP 9 February 2005 and I quote, "It seems to me now that it is more likely he has major psychiatric problems which is clearly quite outside my realm of expertise." It means that my condition has happened before its time. I think it would look good written into a Star trek movie it is so bizarre.